As with all terms and conditions, these get a bit technical and we’re sorry if they sound rather formal. However, they are pretty standard and designed to enhance your e-shopping experience with us and make it as easy and secure as possible. 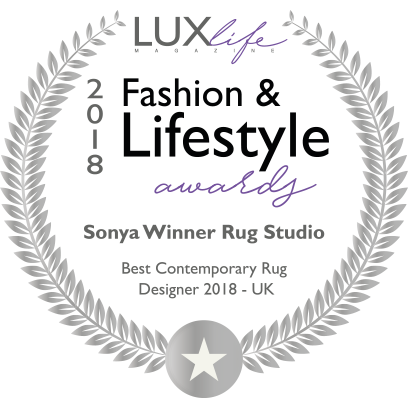 The terms and conditions apply to the use of the Sonya Winner Studio Ltd website and orders made over the telephone or by email as trade or direct customers. By placing any order with us, you are agreeing to accept these terms and conditions (“Conditions”). The samples/ images of rugs and wall hangings shown to you are intended to give a general impression of the colour and pattern. In this section when we speak about rugs we are also talking about wall hangings. As our rugs are a natural product, and because they are hand dyed, there will be variations in colour and shade. Dyes may also fade if placed in bright light conditions. All sizes are approximate and may vary by a small margin of 5%. During transportation and storage, pile may become slightly crushed and this may show as shaded bands across the pile. These will disappear as the rug settles into its new environment and as the pile is flexed through regular use and vacuum cleaning. The rugs we produce are luxurious products and flattening of the pile will occur as a natural result of use. 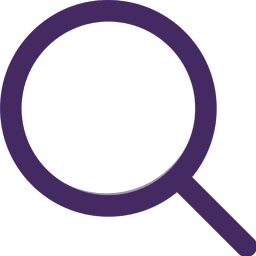 Flattening will change the apparent colours of the rug (“shading”), may be permanent (“pile reversal”), and this may appear to be random, but this is not a fault. Areas where foot traffic twists and turns are especially prone to such changes in appearance. The sides of the pile appear a slightly different shade in colour to the ends and any change in angle or direction of the pile may change the apparent colour of the rug and this may be patchy. Please note that there will be a degree of shedding and fluffing which is a natural characteristic of the rug as a natural product, and this is not a fault. We would point out that light and delicately shaded rugs are prone to becoming soiled in everyday use. This may give the rug an appearance of losing its colour. For care and maintenance of your rug and wall-hanging, please refer to the care information provided. You should always place a non-slip carpet underlay under your rug(s) to prevent the rug slipping or moving and thus preventing accidents/injury. 2.1 Our prices are in three different currencies: £GBP for UK based sales. Euro for sales from within the EU and $USD for sales in all other regions. We reserve the right to have different pricing structures for different parts of the world. 2.2 To purchase stock items we require full payment before shipping to you. We will send your order out to you within 7 days of the payment clearing, via a trackable service and provide you with a tracking number. 2.3 For rugs which are custom made we require a non-refundable deposit of 50% of the purchase price to confirm the order before weaving can begin. Once the rug has been made we will send you a photo of your rug and request the final payment plus the shipping costs before the rug is shipped to you. You will have 21 days to make the final payment from the date we send you your invoice. Rugs take approximately 8 to 14 weeks to make depending on the size and time of year ordered.and an additional 5- 10 working days to ship once the final payment has been received. Quotations provided for custom sizes or bespoke rugs are valid from 30 days of issue. 2.4 Payment by card is subject to authorization by the card issuer. If such authorization is refused to us, we will not be liable for any delay or non-delivery. We are also happy to accept payment by bank to bank wire transfer or Paypal request for payment. 2.5 If you don’t make the payment within the period of time prescribed by these Conditions, then we can decide to (a) suspend the performance of our obligations under the order; and/or (b) terminate the order and any other agreement between us for the provision of goods. In such event it is agreed that our damages are at least the amount of your deposit which we will keep, together with our right to claim against you for breach of these Conditions. 2.6 The £UK and €EU prices quoted are retail prices and include all relevant EU and UK customs and duties. If your rug is being shipped outside the EU you will be quoted prices in $USD and you are responsible for the duty and taxes at the final destination. If you require any help after you have made your purchase please contact us on: +44 (0) 203 283 8776 or [email protected]. If you have any queries regarding your rug or wall hanging, please contact us within 2 working days of receipt. 4.1 Cancellations: If you order a stock item you have the right to change or cancel the order within 7 days after you place the order. Please contact us as soon as you can, as orders move rapidly through to our warehouse. Your notice of change or cancellation must be by email to [email protected]. 4.2 We will try our best to make any changes, but we cannot guarantee that we will be able to do so as the order may already have been processed. In such cases, you may have to wait until you receive the order and then follow the normal returns procedure described below. If you have cancelled your order, you will be issued with a refund within 14 days of notification if the good have not left our warehouse or 14 days after we have received the good back to us in unused condition. 4.3 Please note that custom orders are not cancellable and not refundable. Stock items can be returned to us within 14 days of receipt if they have not been used and we have been informed that they will be returned within 7 working days of your receipt. Your notice must be in writing and it must be emailed to our business email address: [email protected]. You need to pay for the return of the stock item via a trackable delivery service and include insurance for the full amount you paid. The delivery address for returns is: Sonya Winner Studio, 14 York Rise, NW5 1ST. Tel: +44 (0) 203 283 8776. All returns are subject to a 30% handling fee. As mentioned above you will be issued with a refund within 14 days of receipt of the items being returned back to our office address so long as they are in unused condition and we have been notified they will be returned within 7 days of you having received them. Made to order items can not be returned. This does not affect your statutory rights . 4.5 In the unlikely event that your rug is faulty please notify our customer service department within 48 Hrs of receipt by e-mail to [email protected]. We will arrange a collection & inspection of these items. If we find the goods faulty we will arrange a replacement or a full refund. 4.6 Sonya Winner Studio reserves the right to cancel the order if the goods you ordered are listed at an incorrect price due to a typographical error or we are unable to provide delivery to your address. Please note we do not supply goods to Nepal, India, Turkey or Afghanistan. 4.7 If for the above reasons we cancel your order we will notify you by e-mail and provide you with a full refund. Sonya Winner Studio Ltd will not be obliged to offer any compensation for any inconvenience or disappointment by the cancellation of the order. 4.8 Your order will be delivered to the address you provided when you placed your order. If your delivery details change please contact our customer service department by e-mail. Once goods have been dispatched we cannot change delivery details. 4.9 Estimated delivery times can be seen when placing your order. These times are estimates only and are not contractual. We will not be obliged to offer any additional compensation if the goods are not delivered within this time frame. We will contact you to let you know if the goods are delayed. 5.1 These terms and conditions are subject to English Law and to the exclusive jurisdiction of the English courts. 5.2 If any provision of these Terms and Conditions is held by any competent authority to be invalid or unenforceable in whole or in part, the validity of the other provisions of these Terms and Conditions and the remainder of the provision in question shall not be affected thereby. 5.4 The provisions of the Contracts (Rights of Third Parties) Act 1999 are expressly excluded so that no third party may claim any rights under these Terms and Conditions.